To mark the publication of our brand new Culture Smart! 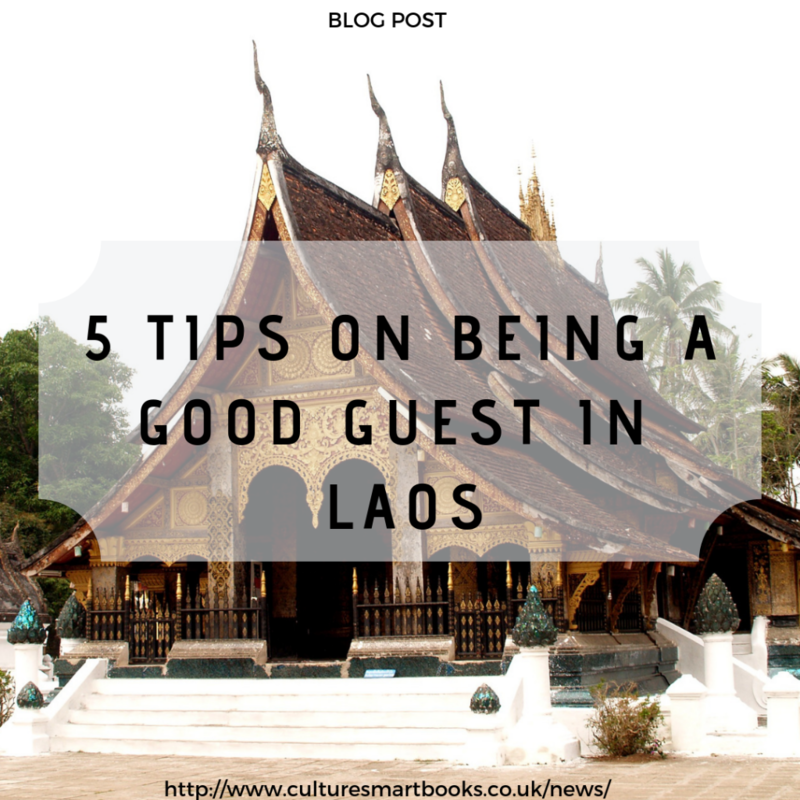 Laos guide we have put together a short list of tips on how to be a good guest when visiting this beautiful and fascinating country. Visiting foreign countries can be a cultural minefield, and though many may be forgiving of visitors who don’t know better, we believe that a little practical cultural knowledge will not only impress your hosts, but will also help you to have a more meaningful and enriching experience. Enjoy! Sabaidee! is the most common greeting and probably one of the most important phrases to remember in the standard Lao language. Literally meaning “It goes well,” it is used in both social and business encounters. Laotians are often very curious about foreigners, so be prepared as they may ask seemingly personal questions, like marital status, on first meeting. The nop is a small bow that acts both as a greeting and a way of saying goodbye. To perform a nop keep your hands clasped in a prayerful gesture at chest level and give a slight bow. People in Laos show great courtesy and respect when using the deferential nop greeting and you should avoid making eye contact when doing so. The nop was discouraged during the revolutionary period of the 1970s, but is omnipresent once again. People in Laos are very aware of personal space and physical contact. Keeping at arm’s length is the best approach, and any public display of affection, apart from the occasional holding of hands, is generally frowned on. Men and women make little direct eye contact and it’s best not to make eye contact with a person of seniority unless they do so first. It is also highly inappropriate to touch someone’s head. The head is considered the most sacred part of the body. Even stretching over someone’s head to reach something is considered rude. The people of Laos are very hospitable and enjoy offering food and drinks. However, while one might be invited to events held in temples or different venues, it is unusual to be invited home. Should an invitation be extended though, it is best to remove your shoes and leave them outside the house. It’s the same in small stores and in some restaurants. If you see a pile of shoes outside a shop, guesthouse, or home that you want to enter, leave yours there too. When visiting a Laotian home or office guests are usually offered water, and it is polite to accept, even if you’re not thirsty. While dining, Lao people will often assume you have finished eating if you begin to drink from your glass. At mealtime everyone sits on mats on the floor. Men tend to sit cross-legged while women fold their legs to one side. People in Laos always wash their hands before eating as they will often use their fingers to eat during the meal. If you need to get up during the meal avoid stepping over anyone or their food, as they may then not eat it. For more tips and essential information on Laos, its people and their culture, pick up a copy of the brand new Culture Smart! Laos here!